To end the injustice of poverty for good, we need an economy that works for everyone, not just the few. The world’s 1,810 billionaires have the power and influence to help make it happen. Eight billionaires own the same wealth as half the world’s population. 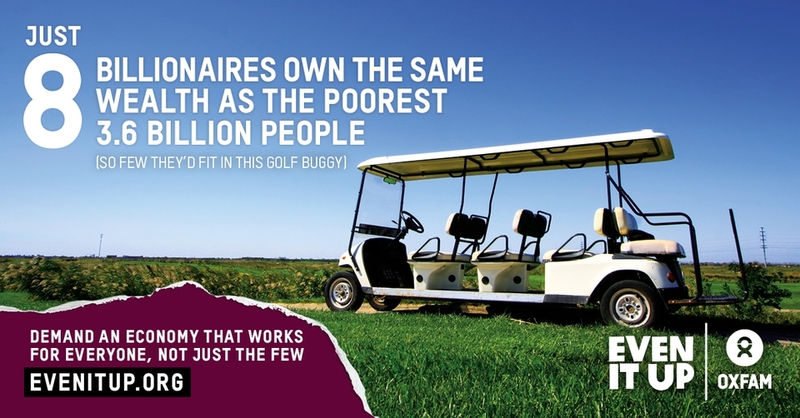 That’s right – eight individuals own as much as the poorest 3.6 billion people. Meanwhile, every day 1 in 9 people go to bed hungry. Such extreme inequality is outrageous. Families living in poverty around the world are forced to suffer impossibly low wages, inhumane working conditions, and a total lack of even the most basic public services like water, education and healthcare. Governments are doing too little to help. And all the while, the usual suspects make billions from a system bent in their favour. It doesn’t have to be this way. We can choose another future. A future where governments act to help everyone, where people are put before profits, and everyone is given a fair chance. We can help end poverty, and the rich and powerful need to play their part. Send billionaires a message: help build an economy that works for everyone, not just the privileged few. You have done incredibly well out of our world today. Collectively you own the same wealth as 70% of the world’s population – that’s 5 billion people - and your wealth is growing. A number of you have made admirable commitments to give your wealth away, to fight poverty and disease. But still we have an economy that is not working for many people. Alongside your extreme wealth, desperate poverty still exists. 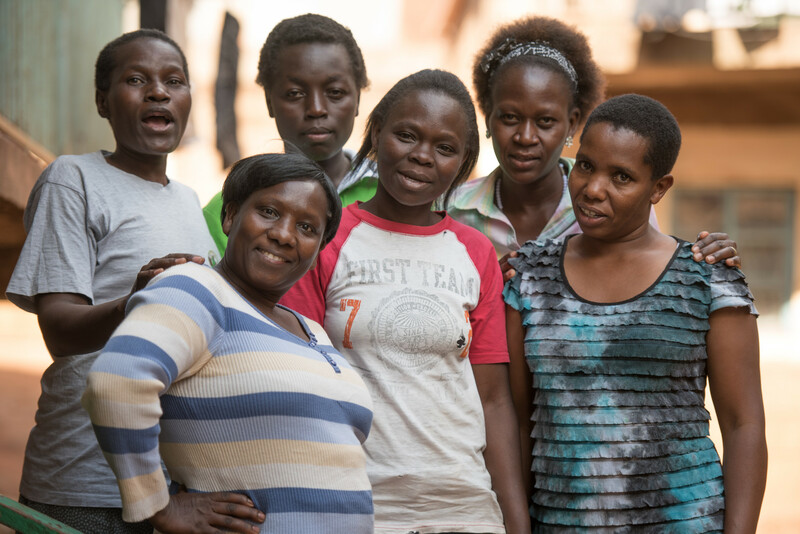 All over the world, ordinary women and men are trying to build their own way out of poverty, and to fight for a more human economy – one that works for the many, not just the few. But they are hampered by low pay, by poor investment in health and education, and by governments that don’t listen to them. Those governments listen to you, and you need to pay your part. You are part of our societies. You too need tax-funded roads and bridges, a planet to live on, healthy, educated citizens and peaceful societies. You need to help, not just through philanthropy but by ensuring you contribute to a sustainable economy – an economy that puts people before excess profit, and a politics that works for all. Don’t dodge taxes in your own countries, or in countries where you invest and operate, by using tax havens. Any companies you own or control should release detailed financial information about activities in all the countries they operate in – including tax havens – so that the public can judge whether your companies truly pay taxes where they do business. You should make public all the investments in companies and trusts for which you are the ultimate beneficial owner. Demand a living wage in all the companies you own or control, and limit excessive executive pay. Support increases in taxes on wealth and high incomes, to allow for the provision of universal healthcare education and social protection for citizens. Do not use your economic wealth to seek political favours that undermine fair competition in the market and the democratic will of your fellow citizens. Ensure your wealth is invested ethically and promotes a more progressive, equitable economy. Challenge other economic elites to join you in these pledges.